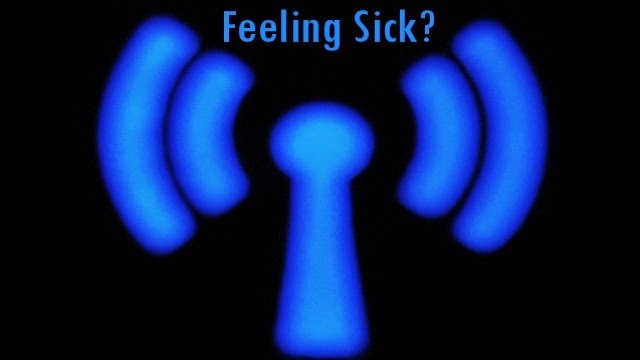 Electromagnetic Hypersensitivity Intolerance Syndrome is also known as Idiopathic Environmental Intolerance Attributed to Electromagnetic Fields (IEI-EMF), electromagnetic hypersensitivity (EHS), electrohypersensitivity, electro-sensitivity and electrical sensitivity (ES). All these are descriptive terms for a variety of non-specific symptoms purportedly caused by exposure to electromagnetic fields. The symptoms most commonly experienced include dermatological symptoms (redness, tingling, and burning sensations) as well as neurasthenic and vegetative symptoms (fatigue, tiredness, concentration difficulties, dizziness, nausea, heart palpitation, and digestive disturbances). The collection of symptoms is not part of any recognized syndrome. There is also considerable geographical variability in prevalence of Electromagnetic Hypersensitivity Intolerance Syndrome and in the reported symptoms. The reported incidence of Electromagnetic Hypersensitivity Intolerance Syndrome varies widely per countrie, probably as a result of media attention. So far, at least 9 provocation studies have been reported on electromagnetically hypersensitive individuals. The studies have been overwhelmingly unsuccessful in being able to link the symptoms of Electromagnetic Hypersensitivity Intolerance Syndrome in these subjects to exposures to electric or magnetic fields. There is also clear evidence that psychological factors are important in some cases. Some of the subjects in a study reported headaches during placebo experiments in which the fields had never been turned on. Which suggests that this an imaginary syndrome, much alike Chronic Fatigue Syndrome or Post-Treatment Lyme Disease Syndrome. Tucker et al: Tests For Human Perception Of 60 Hz Moderate Strength Magnetic Fields, IEEE Trans Biomed Eng 25:509-518, 1978.